It’s grim and gloomy as we’ve come to expect from WB’s DC Comics adaptations—they’re positioning themselves as the kind of anti-Marvel—but it does reveal more about the story. Ben Affleck’s Bruce Wayne is now retired as Batman, but the destructive 9/11-ish events of Man of Steel (they’re really harping on that one) caused him some personal hurt, and he sets out to stop the seemingly all-powerful Superman (Henry Cavill). We also get our first footage of Gal Gadot’s Wonder Woman in action, which, again, also looks pretty righteous, and Jesse Eisenberg as Lex Luthor with a bad haircut. Good thing we know he loses those locks at some point. 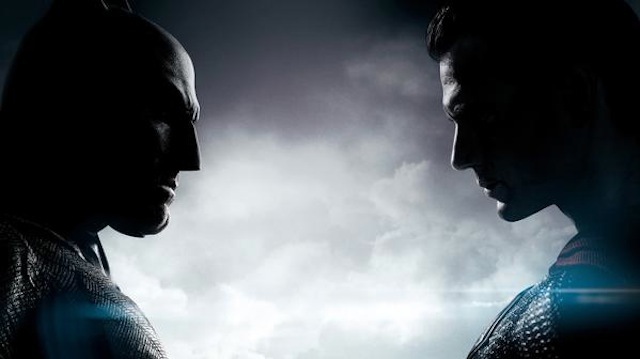 We still have a long way to go before we see Batman v Superman: Dawn of Justice, it doesn’t open until March 25, 2016, but it looks like it might be well worth the wait. Check out the Comic-Con trailer below.